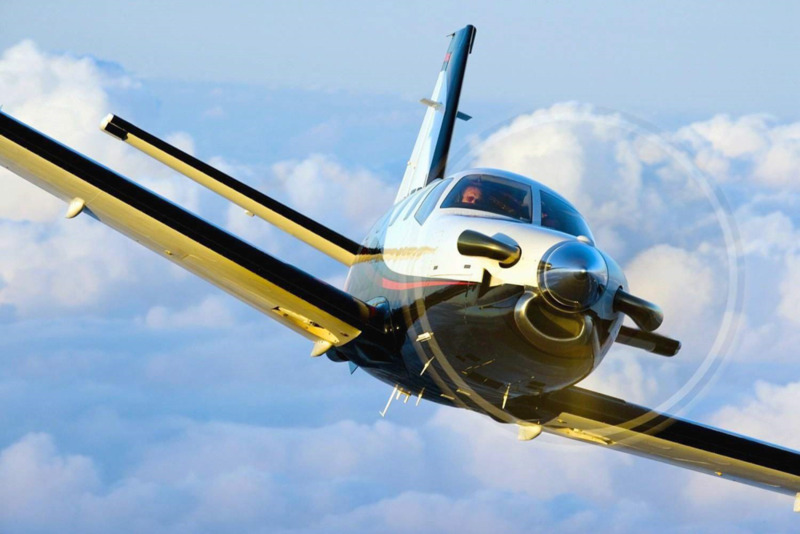 The Daher TBM-850 is a mighty machine engineered for speed and efficiency resulting in near light jet speeds at the cost of a single engine turboprop. That combination opens private air charter travel options that were previously considered impractical for many individuals and organizations. The cost per mile of this aircraft is unmatched, which allows for very low charter rates while retaining the speed and comfort of a light jet. Backed by a national support network of Daher certified mechanics and other personnel. Professionally maintained at the standard of FAA Part 135, the equivalent of the airlines. The TBM 850, with a cruise speed of 360 MPH at 31,000' and state-of-the-art avionics, gives owners and pilots the advantages of the cruising speeds typical of light jets, but with the economical direct operating costs of a single-engine turboprop. The TBM 850 can carry six adults in quiet, air-conditioned comfort, climb to 31,000 ft in as little as 20 minutes, fly for over 1,400 nm with NBAA IFR reserves and then slip into a 2,100 ft strip or a mountain runway. Manufactured by Daher of Tarbes, France, it is the fastest, most efficient single engine aircraft in the world. The very well proven Pratt and Whitney PT6 engine that drives it is one of the most reliable engines ever designed. It was the first single engine plane to receive approval for commercial operations in Canada and Europe, and it's significant payload capacity makes it both functional and fast.